My elder one is turning 11 this weekend, and this year too, i m making his birthday cake. Till last year, i didn't have the guts to bake and frost cakes for birthdays, but from last June i was determined,to overcome that fear of mine. From that time, i have baked and frosted almost 9 birthday cakes and haven't clicked even one decent picture of, any of them, its a shame isn't? That too, being a food blogger, where we never miss an opportunity to capture the food, i have failed 9 precious opportunities to click gorgeous cakes, oops sorry for the arrogance, yes they were gorgeous! So now on, i m determined, to feed the cakes to my camera first, and then to my people. 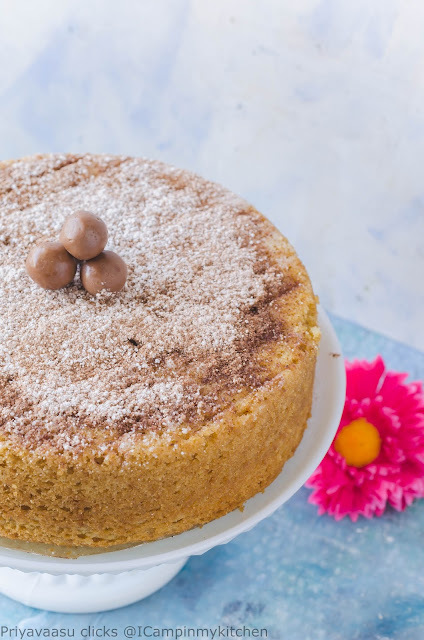 Today's recipe is a basic vanilla sponge cake recipe, this is my go-to recipe, i have baked this so many times, i remember the recipe by heart, you can even ask me in the middle of my sleep. Not only me, many of my friends too have baked this recipe with great success. This is a fool-proof recipe, that gives you a soft and fluffy cake with whole wheat flour. Do try it and let me know how you liked it. Tag me #icampinmykitchen if you try this recipe and share it across social media. 1.5 cups Whole wheat flour, i use Aashirwad brand. Preheat the oven to 170C for 10 minutes. Grease an 8 inch pan with oil and parchment paper at the bottom. Sieve together flour, baking powder and baking soda. This step is very important, do not skip this step. 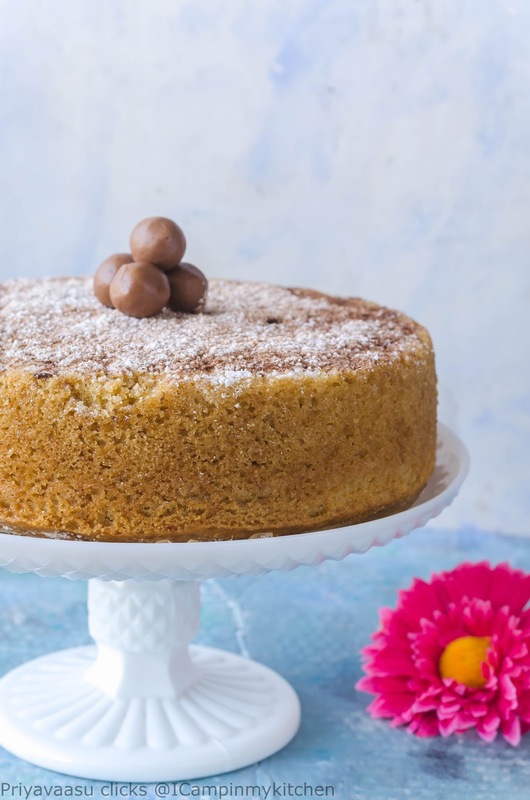 Sieving the flour helps in making the mixture light and airy that results in a a fluffy cake. I use my IKEA flour sifter and sieve it once. To this sifted flour, add sugar and whisk well to combine. In a measuring cup, take buttermilk, to this add oil and vanilla extract and mix to combine. Slowly add this wet mixture to the flour mix and using a spatula, mix in one direction to combine. Please be genteel while mixing,it is not idly/pancake batter to whisk vigorously, so be slow and gentle. Take care not to have any unmixed flour. The batter would be a bit thick, not pourable consistency. If you feel it is too thick, then add 1/4 cup of water to it and combine. 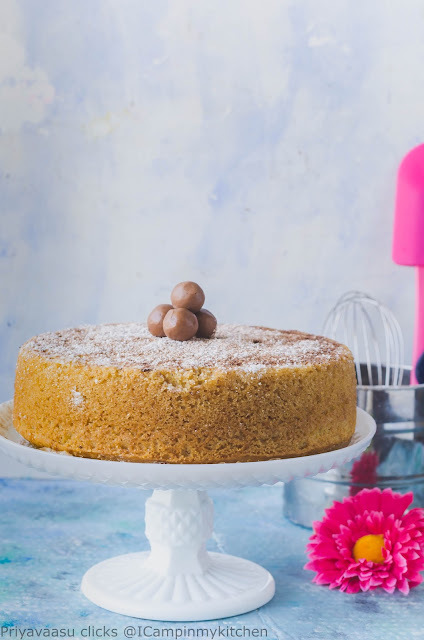 Pour the mixture into the prepared pan, bake the cake in the preheated oven for 45-50 minutes or until a skewer inserted in the middle comes out clean. My cake got done by 50 minutes, Oven temperature differs from Model to Model, so keep an eye after 45 minutes. Once done, remove the cake from the oven, let it sit on the counter for 5 minutes to cool. Then slowly unmould it from the cake pan on to a wire rack and let it cool completely. 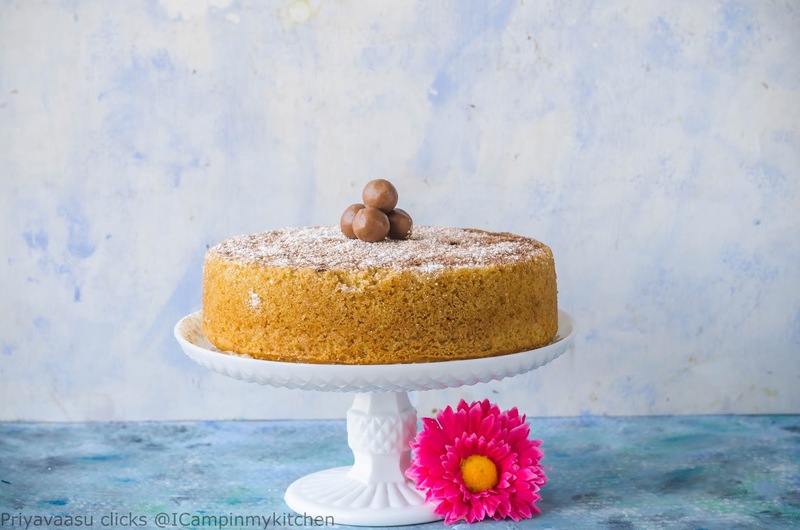 Once done,you can either serve it with a dusting of cinnamon sugar on top or frost it with your favorite frosting and enjoy. I made this cake for my kiddo birthday party, so couldn't cut it the day i made. Will share a picture of the cake on the day it is cut. I use only 3/4 cup sugar, since the cake will be frosted either with buttercream or ganache and also will be drizzled with sugar syrup prior to frosting, which will be too much sugar for us. 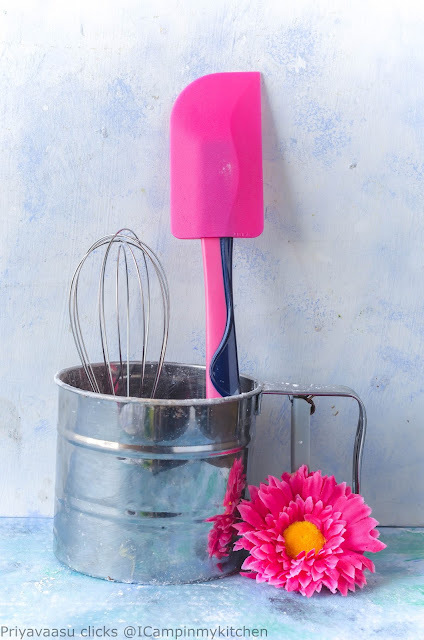 If you will not be frosting the cakes and prefer a little extra sugar, then go on and use 1 cup sugar. The cake batter will be thick, like that of idly batter, it will not be pourable. If it is too thick for you, then add 1/4 of water and mix to combine. 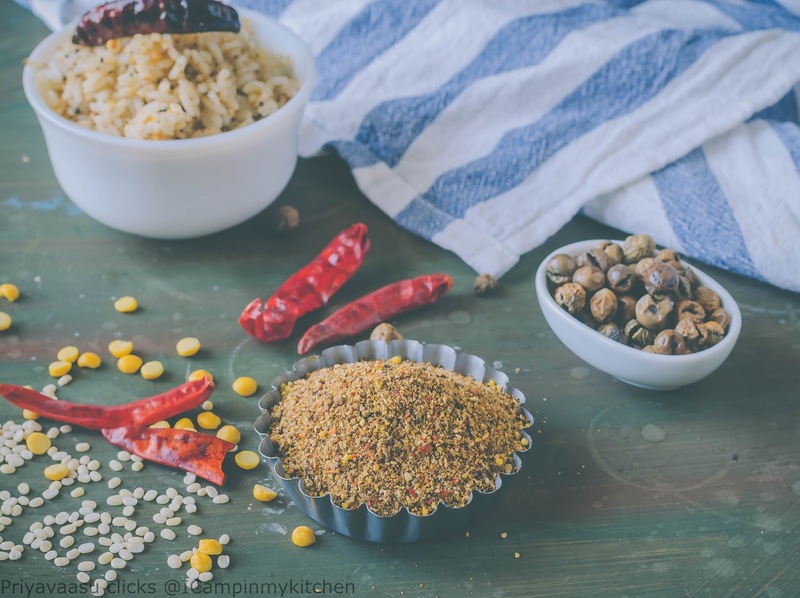 Rice mix podi's and thogayals(chutney's) are indigenous part of south-indian kitchen. 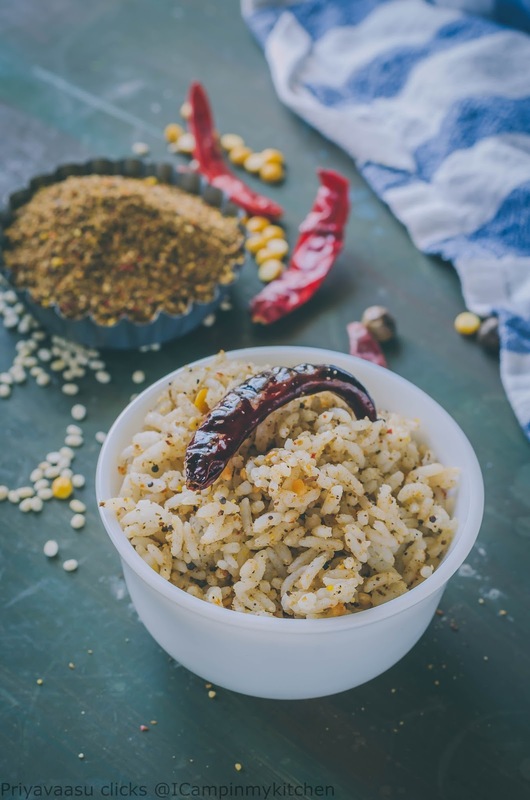 Rice mix podi's(powder's are life-savers in many house-holds. Bored to cook, wife gone for vacation, no mood to cook for one, these podi's come for our rescue. I have quite a list of podi's in my kitchen and i m never bored of trying a new one. Somewhere in the net, i came across dried neem flower podi, that gave me the idea for sundaikaai/turkey berry powder. I had salted turkey berry and so i haven't added any salt to the final podi. If you are using unsalted berry, then add salt accordingly. Turkey berries are naturally bitter, so the final powder also has some bitterness, but if you love the taste of these berries, you will love the podi too. Heat a wide pan, dry roast each ingredient except salt(if adding) separately. All the ingredients must be golden brown in color. Keep the flame simmer and roast. After roasting, let the ingredients cool completely. 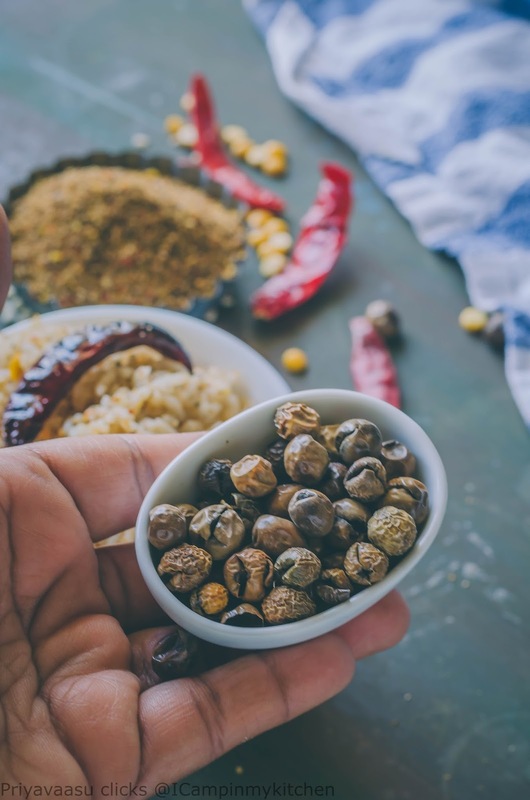 Take the roasted ingredients in a mixer jar and grind it to a coarse powder. 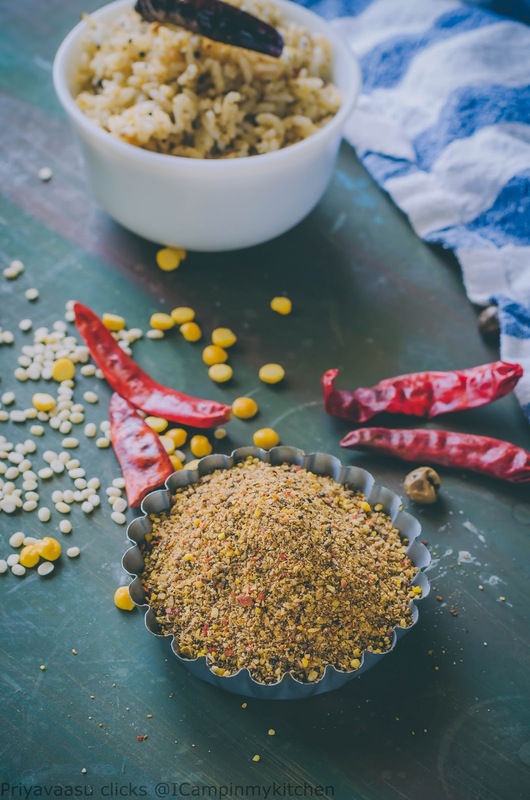 Heat a tbsp of oil in a tadka pan, spluter mustard seeds, add chana dal and urad dal and red chili. Pour the sizzling tadka over a 1 cup of steaming hot rice, mix 2 tbsp of powder to it and mix well. Serve hot with some crisps by side. 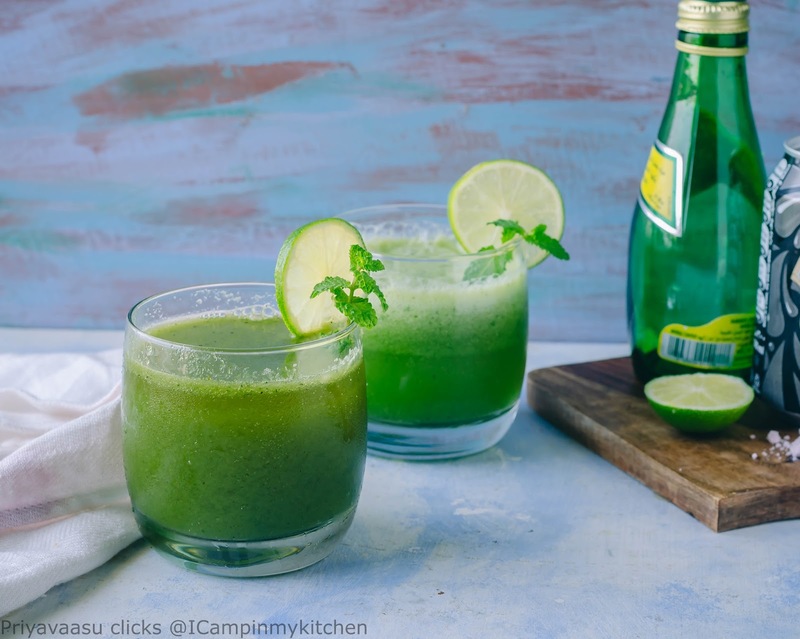 I can't get enough of summer coolers! I m making a new one everyday and enjoying the flavors. 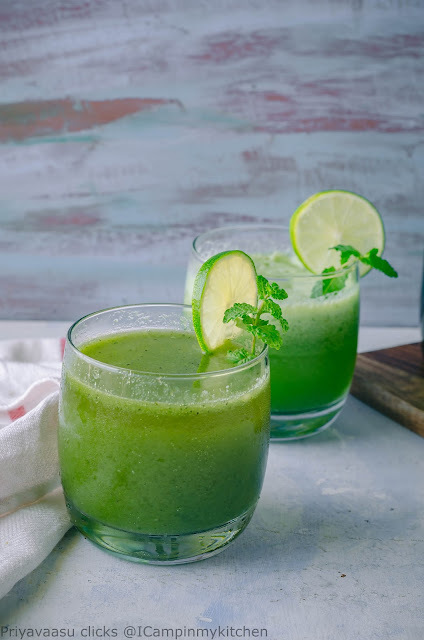 Today's drink, cucumber-mint cooler, i remember having this drink in a restaurant. 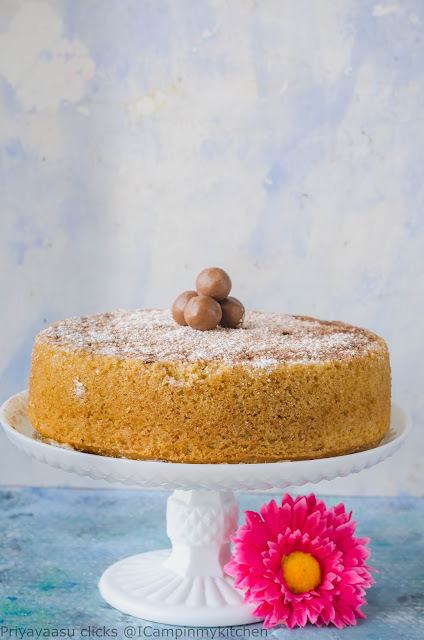 Loved the taste and tried recreating it at home. Voila loved it! It might not be the exact same what they served in the restaurant, but it was a close match. I once made it for a gathering too, it came out good. There is always a trial and error in balancing the taste of the drink, i prefer my drinks to have a bit strong taste of lime/lemon. Some might not prefer it that way. If you are in the later half, then start with half the quantity of lemon juice given here and increase accordingly. Wash and chop the cucumber roughly. Take it along with mint leaves and sugar in a small blender jar. Blitz it to puree. 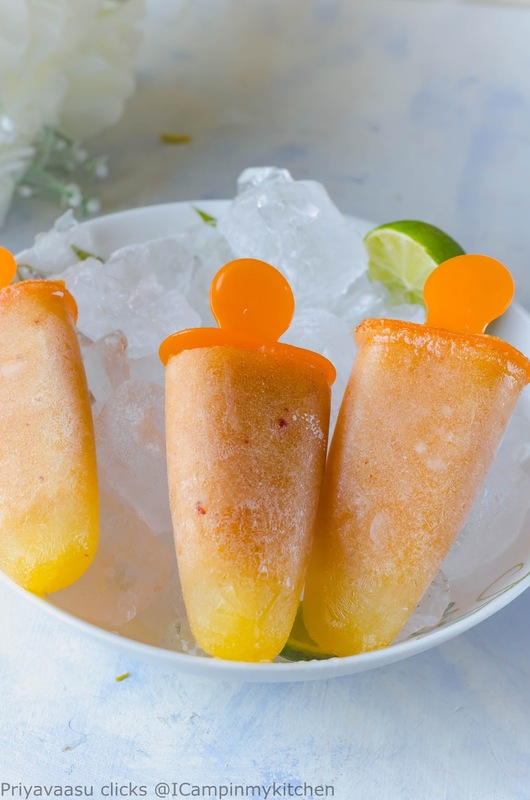 Add this to serving glass, top it with sparkling water, black salt and lime juice. 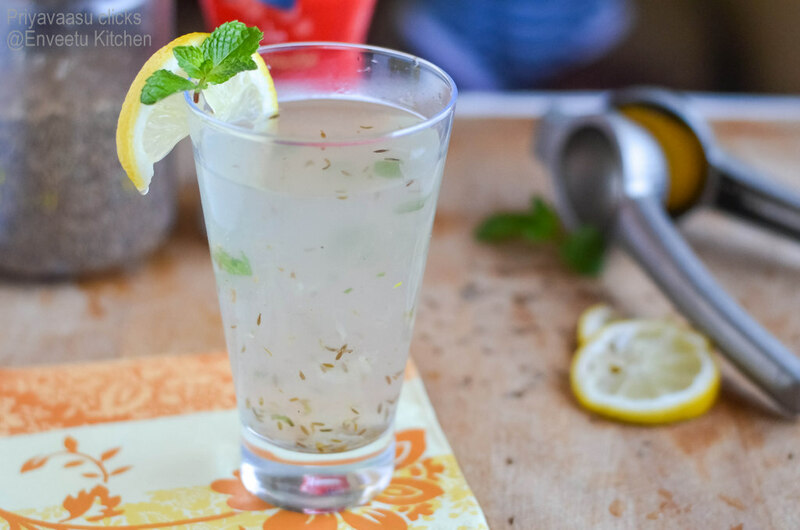 Garnish with mint leaves, lemon wedges and serve immediately. I have made it using both club soda and sparkling water. The glass with froth is made using club soda. Personally i prefer sparkling water. 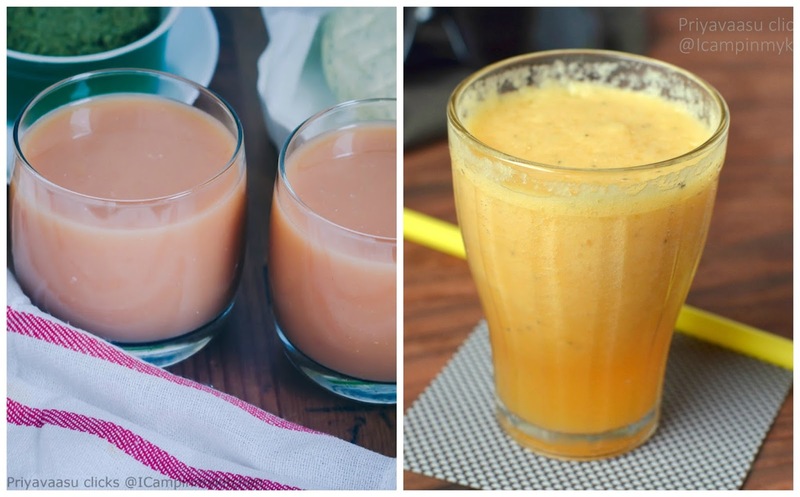 If you want your drink to be smooth, then strain the juice before serving. The toughest theme in our Blogging Marathon, is the bookmarks theme! Duh! As a foodie, anything that catches your eyes and thrills your senses, you bookmark it, pin it, yum it! This happens almost every day, every hour! Thanks to FB intelligent feeds and google intelligent algorithms, they identify our pattern so well, our feeds are filled with 1 minute food videos, which is also getting saved and FB reminds me, every now and then, you have so many unopened saves!! To choose 3 posts from that huge bookmark ocean is such a pain, my mind was like a kid in a candy store, but with a strict mommy by my side! Finally i chose 1 for today's post, i haven't decided what i m going to make tomorrow and the day after, let us cross the bridge when it comes. 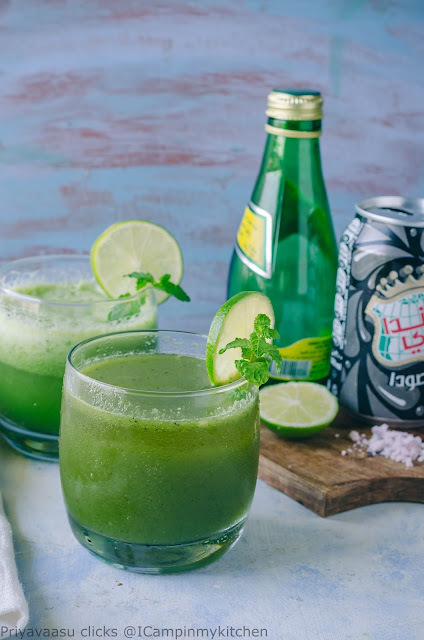 So, going to today's recipe, the word kuluki is the reason i m dragged to this recipe, yeah, like that word kuluki, meaning shaken, like how a bartender shakes the drink! 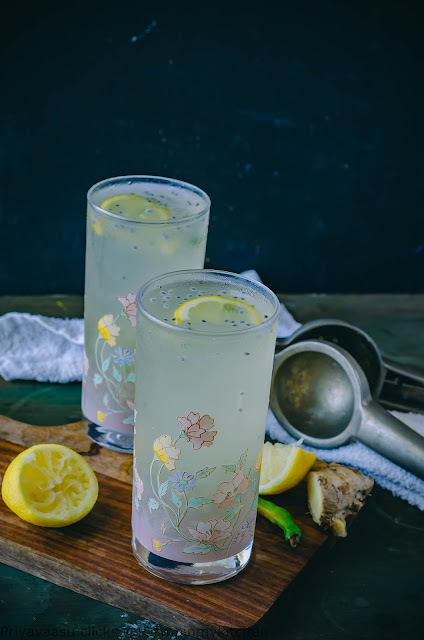 It is a simple lemonade recipe, some recipes i came across in the net, use basil seeds,and some don't. I don't claim mine to be an authentic kuluki sharbath. 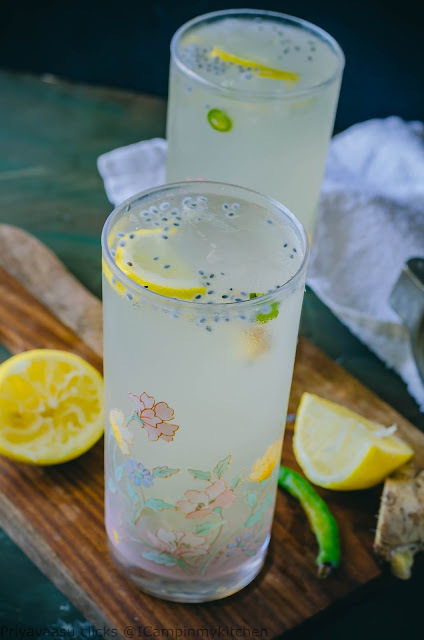 I love the basil seeds in the lemonade, so i have added them. Also the chili and ginger adds a nice zing to the drink , if you don't prefer the slight tinge of spice, omit them. 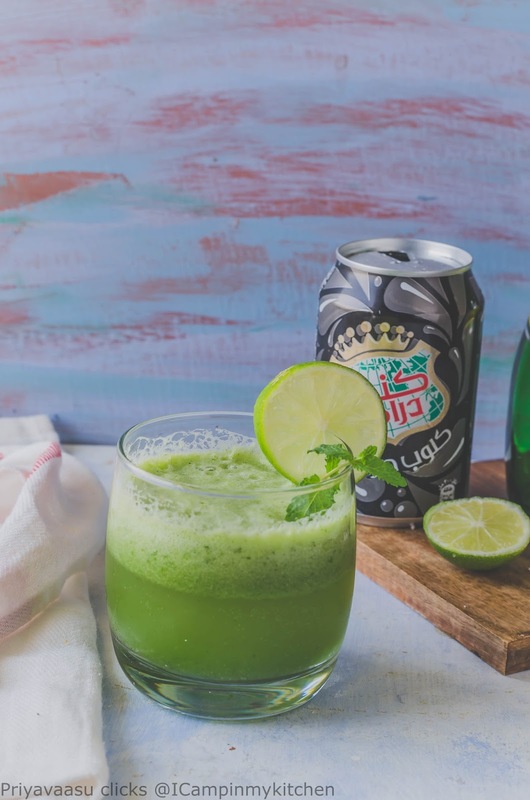 It is a fantastic drink to enjoy on a summer day. 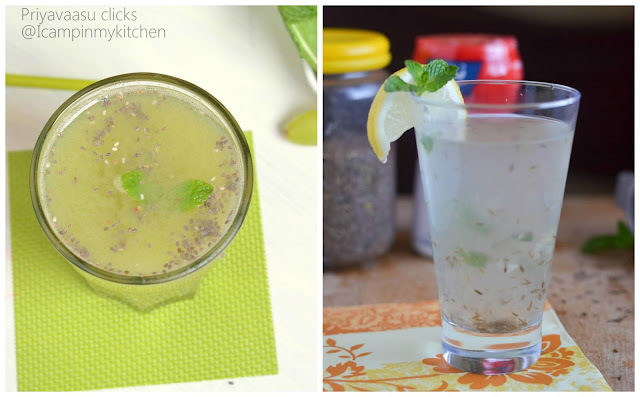 Soak sabja seeds/basil seeds in 2-3 tbsp water for 10 minutes. It will absorb the liquid and swell up beautifully. In a large pitcher, add lemon juice, flowered basil seeds, 1.5 cups of cold water, add shredded ginger, chopped chili, sugar, salt and pepper and shake to mix well. i used my immersion blender jar with lid for spill-proof shake. Taste the lemonade, adjust water according to your taste. The chili and ginger adds a nice a flavor, but if you don't prefer avoid them. To serve, fill tall glasses with lemonade, add a lemon wedge, few ice cube and serve it chill. It is just May and we are already feeling the heat. Sun at morning 9 am is so hot, i can't imagine how it will be around noon. The moment i enter home after my yoga, i want to drink something cold and soak myself in a tub full of water. The later is though unimaginable, the former is definitely 100% possible. To avoid myself buying juices off the grocery shop shelves, i try to make fresh juice before leaving for my workout, so when i return i have something to quench my thirst. I know eating fresh fruit is more healthy than juicing, but then in this heat, all you want is to drink! 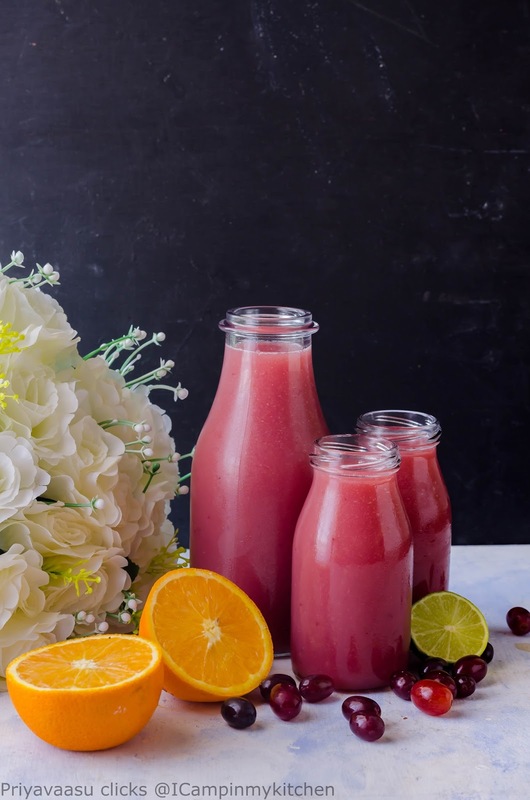 Like fresh fruit and veggies which are regular part of our meal, fresh juices too has become one. You might think, why am i glorifying juices here? 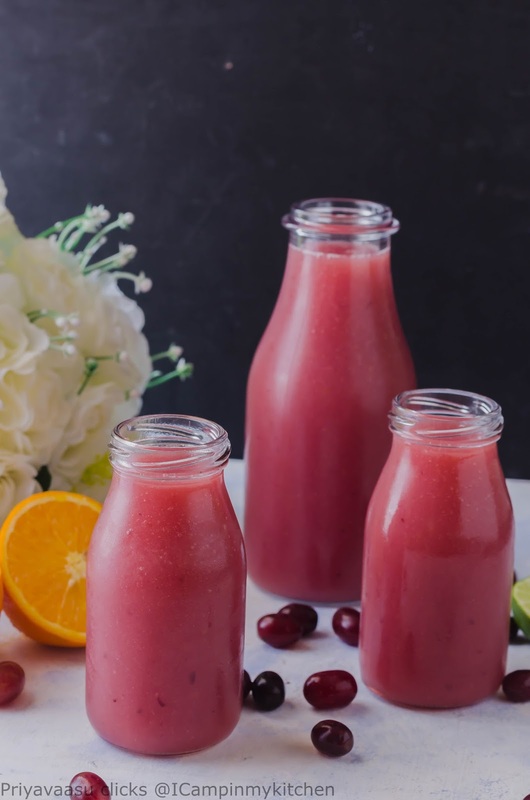 it is because, i have always made smoothies, milk smoothies, yogurt smoothies,so for me to come out of my comfort zone and try some drink that is not dairy base, feels awesome. 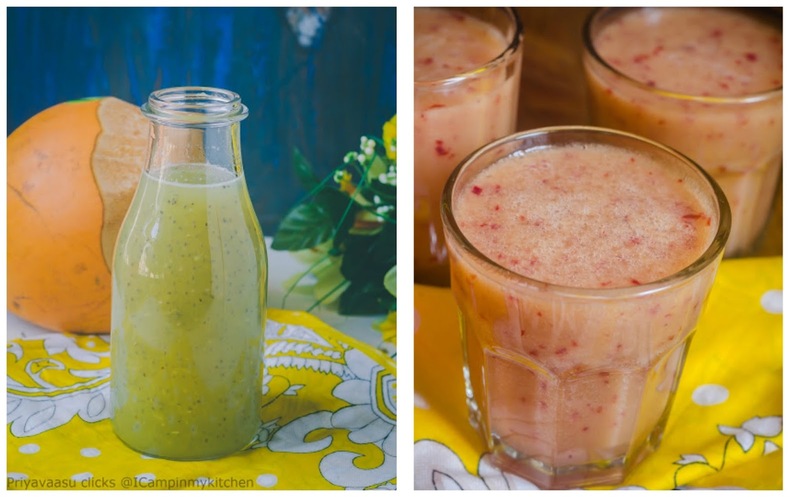 Here is a list of 7 different Fruit juices (mocktails) to keep you refreshed this summer. Make them part of your suhoor/iftar meal for a healthy start this ramadan. Fresh Grape Mocktail, the best i ever made. 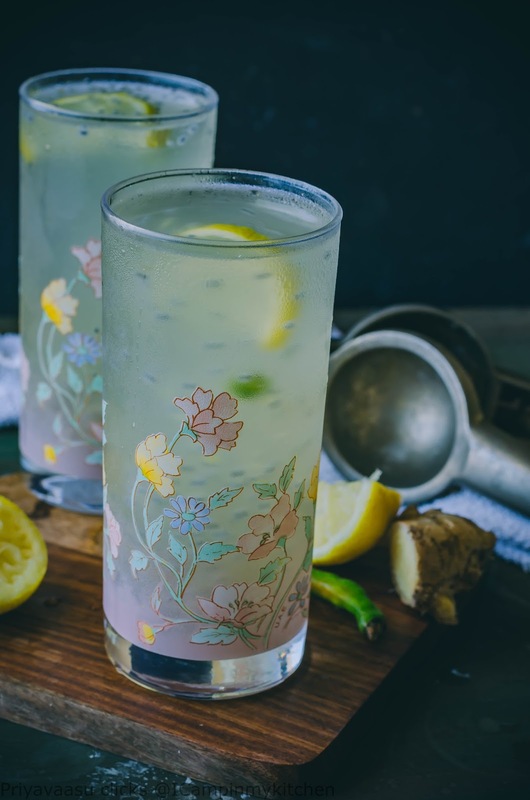 Some recipes happen as you make, this mocktail is one such recipe. I had a big bowl of fresh grapes, usually i clean and wash the grapes and leave it on the dining table for us to snack. Usually my lil one, likes seedless grapes, but all of a sudden he doesn't want to touch them and my elder one runs a mile when i offer him a fruit. So this grapes bowl is sitting simply in the refrigerator for the past one week. Last weekend, we had a small meet up with our friends for lunch. I normally make some lassi/panagam to serve as a welcome drink, and since it is hot these days, i decided to make some fresh juice. 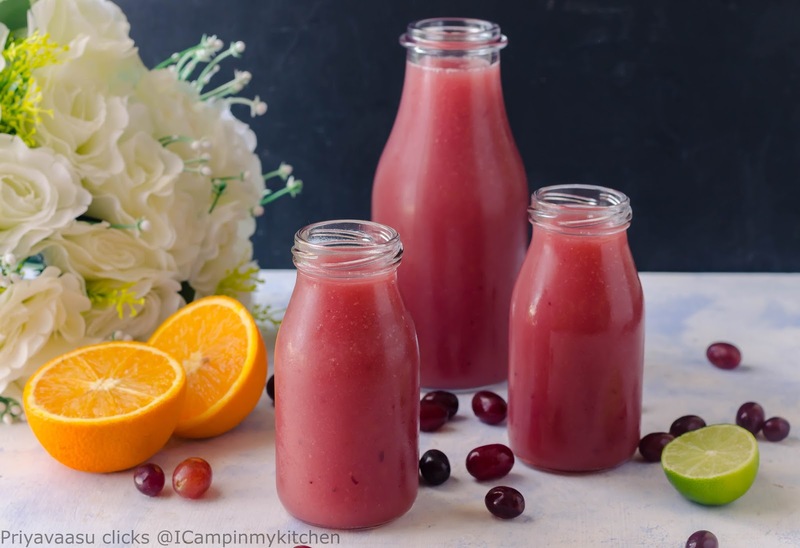 I took the grapes out, juiced them first, then saw the oranges, squeezed them into the grapes, then added a squeeze of lime. All mixed and strained, it tasted just awesome. Take the grapes in a large bowl. Add 1.5 cups of cold water to it and using an immersion blender, blend it to juice. It won't be a smooth juice, to this add orange juice and lime juice. I just squeezed the orange with my hand into the grape juice. Do not bother about the seeds, you will be straining the juice, anyway. After adding the other two juices, mix it well with a ladle. Strain the juice through a strainer. Add another 1/2 cup of water to the strained pulp and squeeze the juice well. 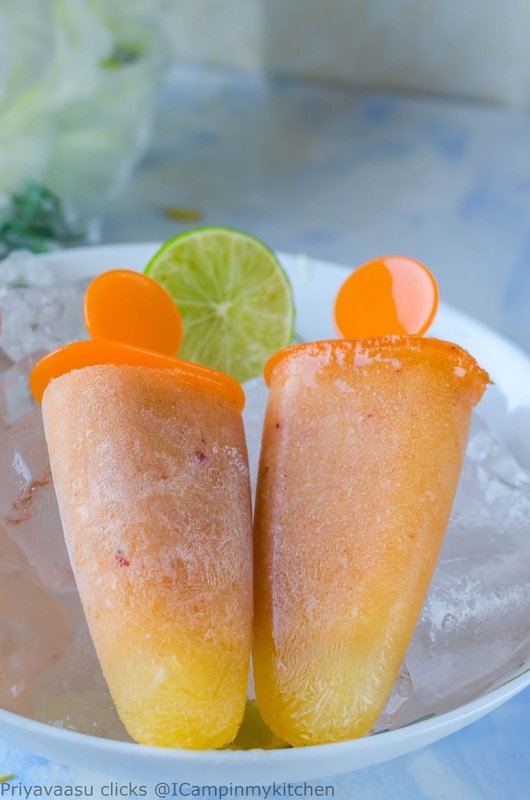 Refrigerate the juice for 30 minutes and serve it chilled. Mastani, the name brings a kick with it, isn't? 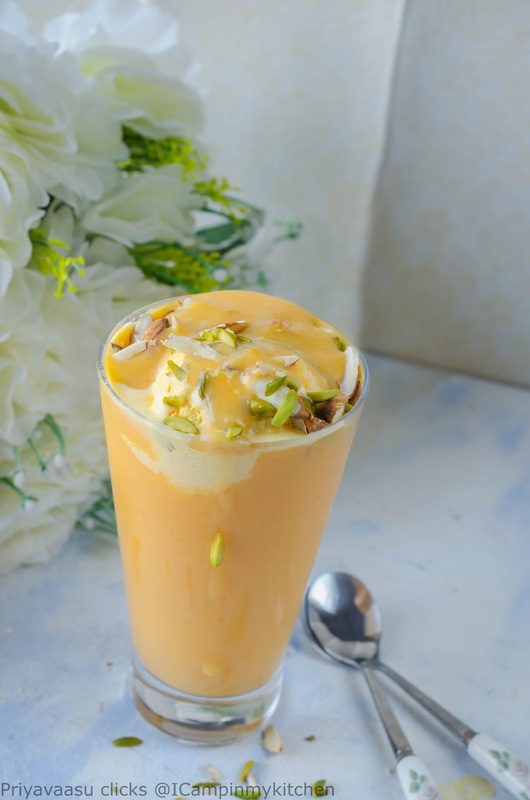 Mango mastani, yummilicious drink of mangoes topped with ice-cream and served with nuts garnished, i have watched this mastani in many blogs and have literally drooled over it! 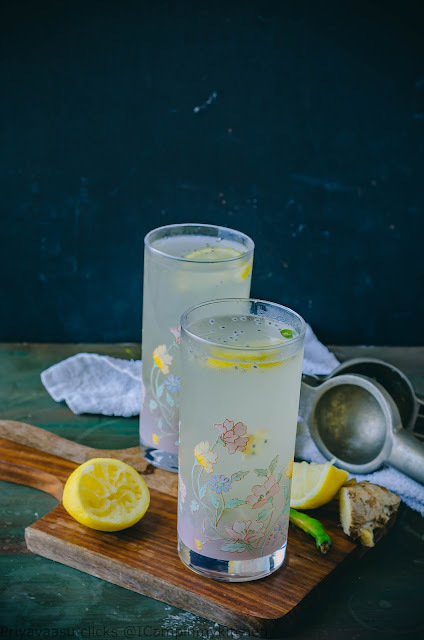 I chose the theme : summer coolers, thinking of Mastani! Let us know a little bit about the drink before learning how to make it. 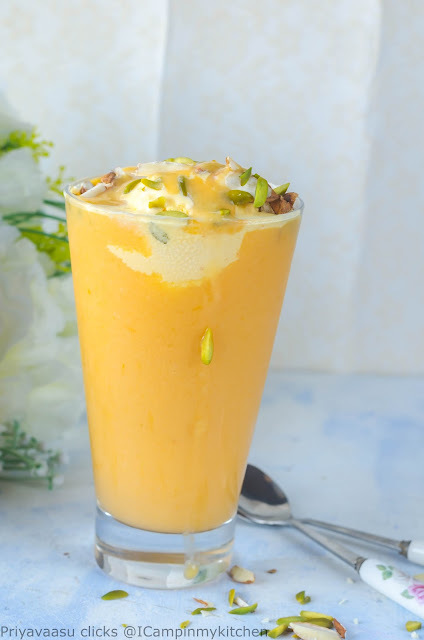 Mastani is a famous drink from Pune in India, land of Peshwa's and the Maratha's. A place that still preserves its cultural heritage and history with its mighty forts and food of-course. While searching for the root of mastani, i came across some articles and videos on the Web, thanks to my curiosity, i still love to learn about food and its origin. One of them says, it is named after the legendary Peshwa ruler Bajirao's Love, gorgeous Mastani and the drink too is such a beauty so, it is named after her. Other story says, when it is served, the first thought that hits your mind is how 'mast' it is, meaning how awesome it is, hence the name mastani. 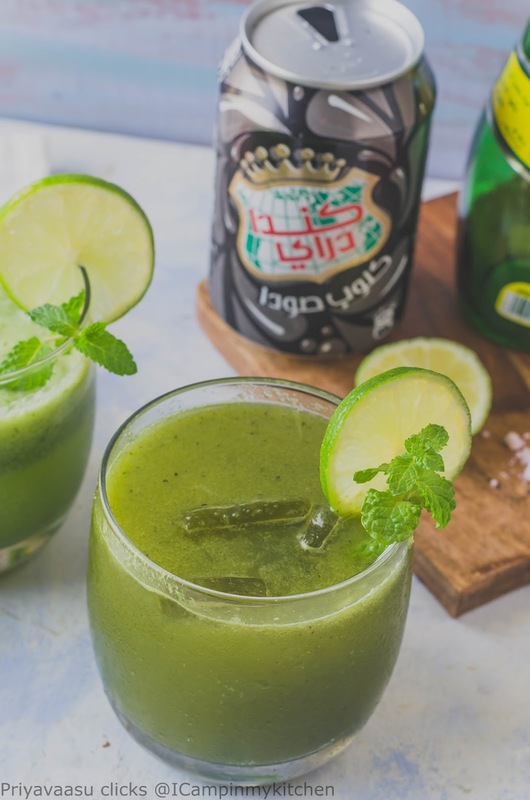 True to its name, it is one of the easiest, most deliciously looking and tasting drink ever. 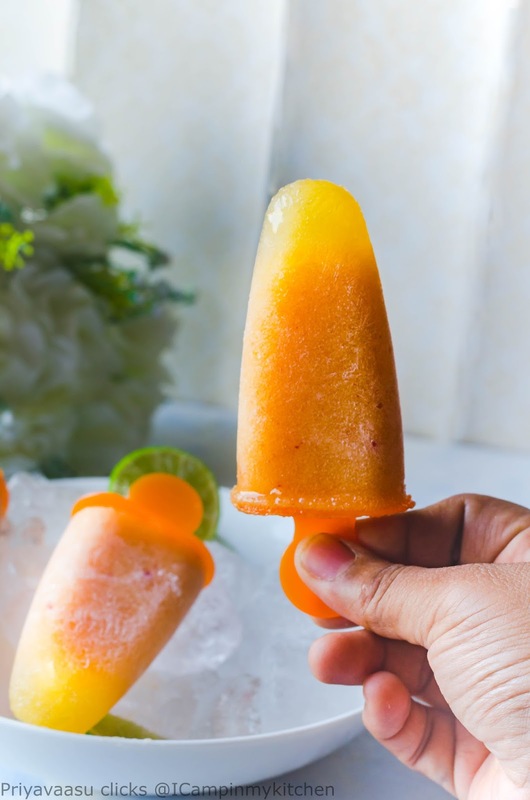 And with mango season in full glory, you should definitely try making this. If you are interested to read about the article here it is Story Behind Mastani. Here is the video how they make it. I love the way they crush the fruit straight in the glass and top it with fresh milk, wish someday i can visit pune and taste this awesome drink. For now enjoy making it at home! Wash and chop the mangoes, remove the pulp. 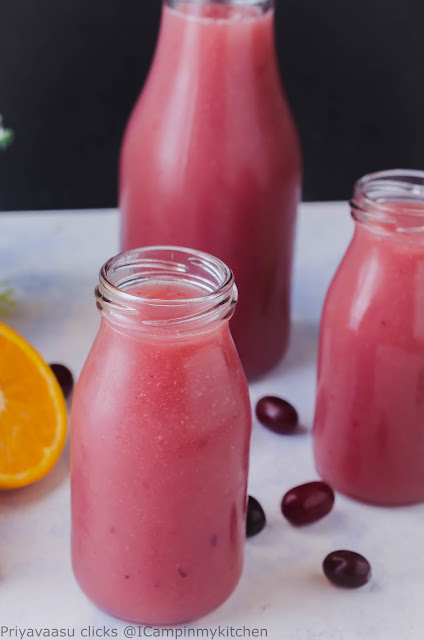 Take the pulp in a blender, add chilled milk, sugar and blend smooth. 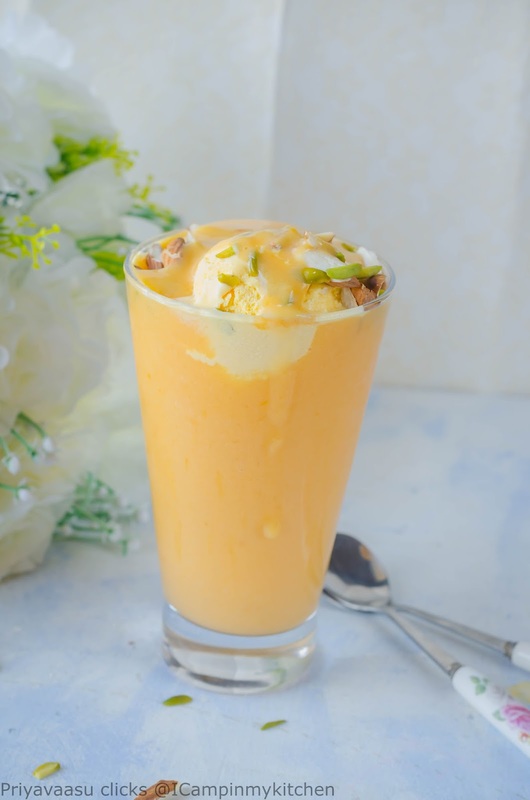 Pour the smoothie in tall glasses till 3/4th of the glass, top it with mango ice-cream, garnish generously with nuts and serve immediately. I was in a big dilemma for the last recipe on the Greek cuisine theme. I couldn't decide between Lagana bread, Halva and this honey doughnuts. 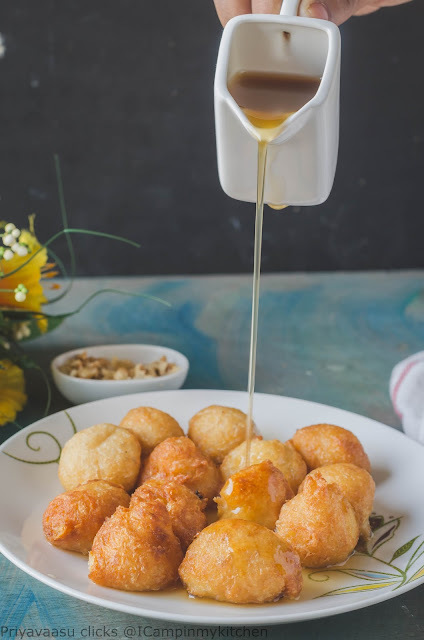 The lazy me chose the easiest honey doughnuts. A no knead dough, rested for an hour, in my case a day in the fridge and then deep fried and served with lots of honey syrup and nuts on top. I have a love for doughnuts, who doesn't? 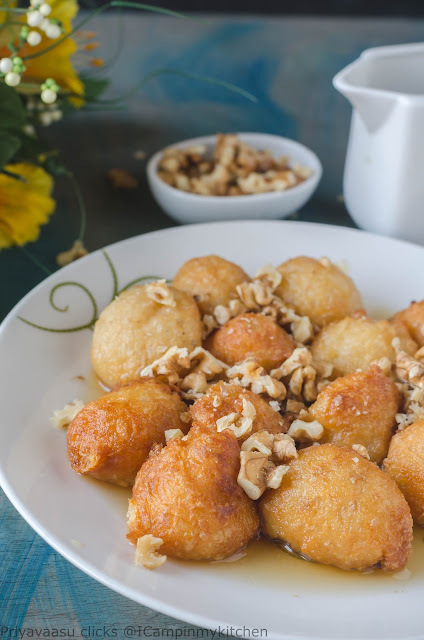 I have some delicious doughnuts from around the world like this Yemeni Bakhmir, Croatian Krafne, Persian Bamieh, Somalian Puff puff the list is long. 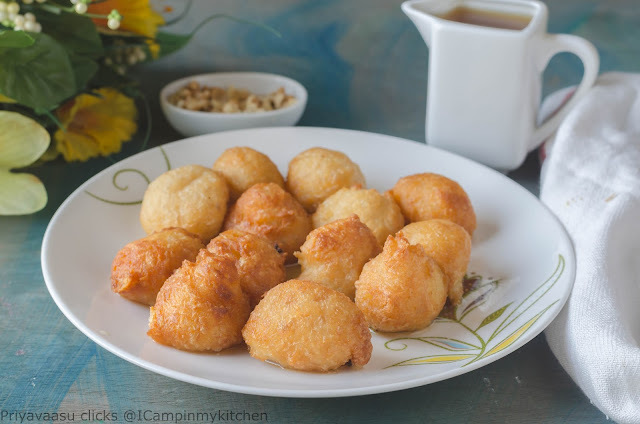 These loukoumades are another addition to that long list. I made them as our weekend treat. Hubby relished it straight from the pan, loved the taste of it. Do not miss the cinnamon powder, it gives a nice kick to the dessert. If you want to make it vegan, try drizzling chocolate sauce instead of honey syrup. I know chocolate would make it all the more better. Let the dough sit for an hour on the kitchen counter and the yeast works it magic. After an hour, the dough will be well puffed up and ready for the doughnuts. When the dough is resting, make the syrup. Heat water in a sauce pan, when it is hot, take it off the stove, add honey and cinnamon powder and mix well. Do not heat honey, it might turn toxic. Heat oil in a deep-pan, when it is hot enough, wet your hands and take small portions of the dough and drop it in the hot oil. The dough will be very sticky, if you don;t wet your hands, it will be a mess. If you don't want to use your hands, then use a wet spoon to drop the dough balls. Once dropped in oil, do not disturb the balls immediately. Let it cook for a minute and start holding that round shape, then using a slotted spoon, turn the balls to cook even. 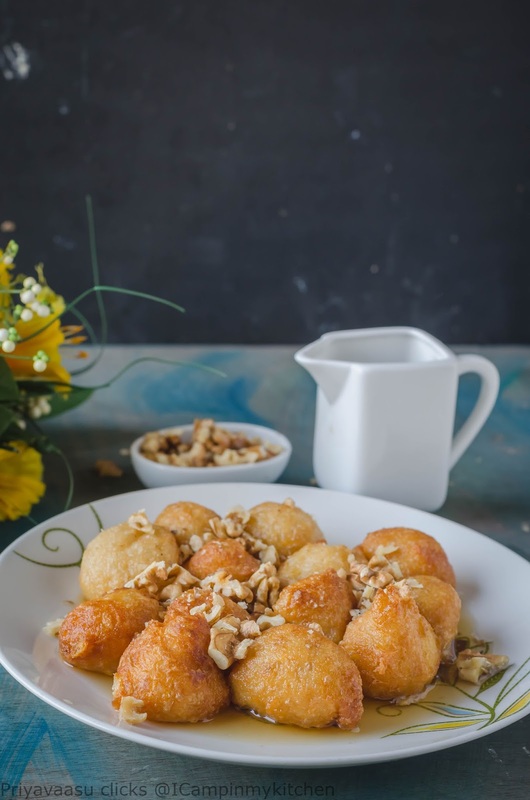 To serve, place 5-6 warm doughnuts on a serving plate, drizzle a generous portion of honey syrup on top, garnish with walnuts. Serve warm to enjoy the flavors.